This Timecracker model bares all the same quality features, except for its modern tone. The subdued features give this model a classical appeal. The clock rotates through one of our 30 rich melodies every hour as the dial turns and with its hypnotizing beauty. The spinning pendulum that holds four crystals keeps a consistent serene pace. 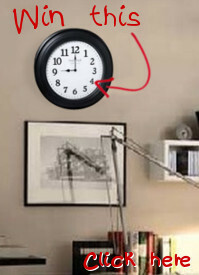 Quartz clock is battery operated. Christmas melodies "The First Noel","Jingle Bells","Silent Night","Deck The Halls","Joy To The World","We Wish You A Merry Christmas"